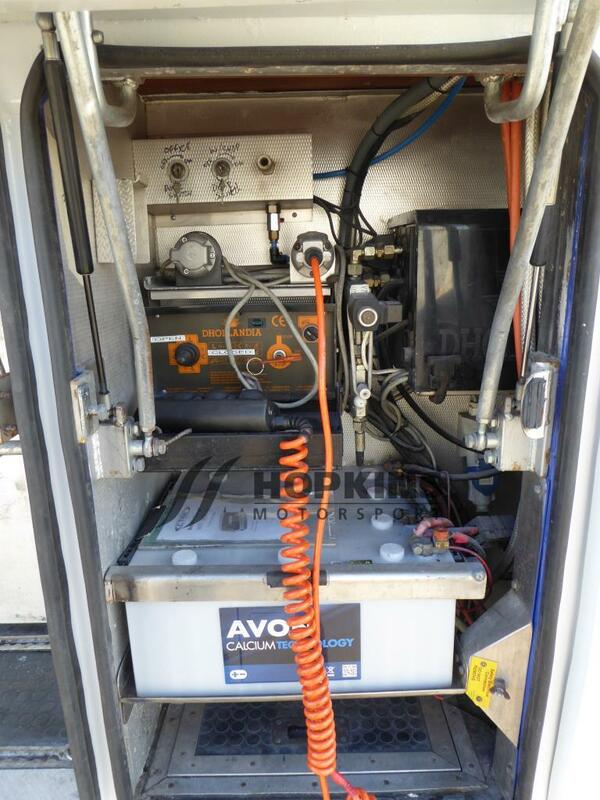 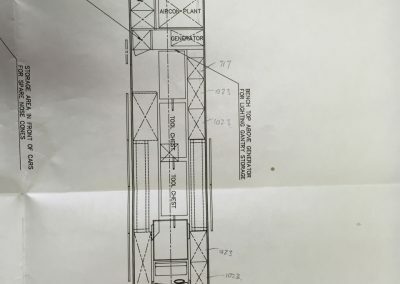 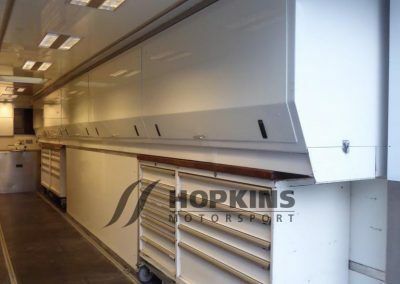 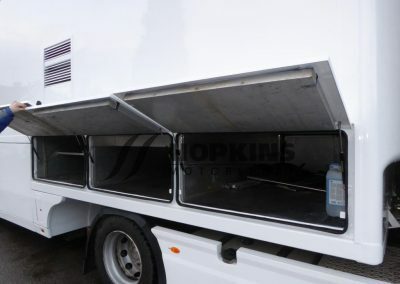 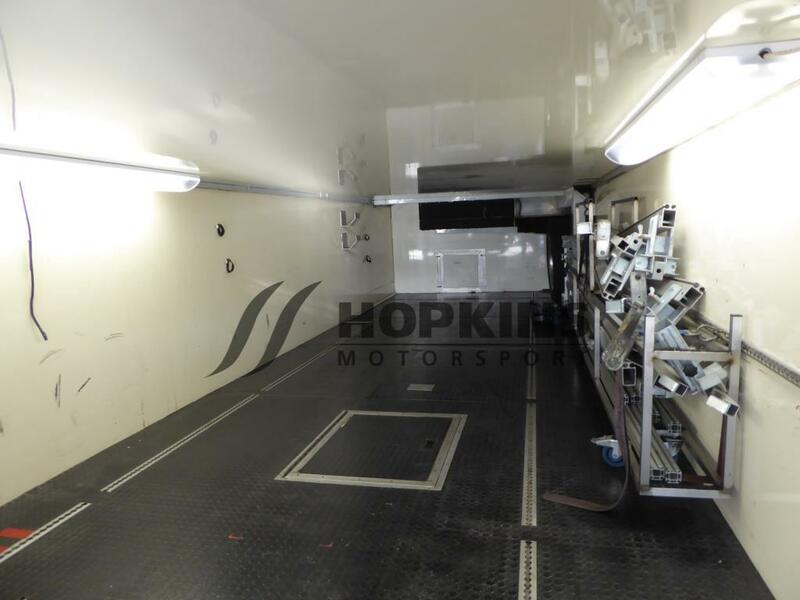 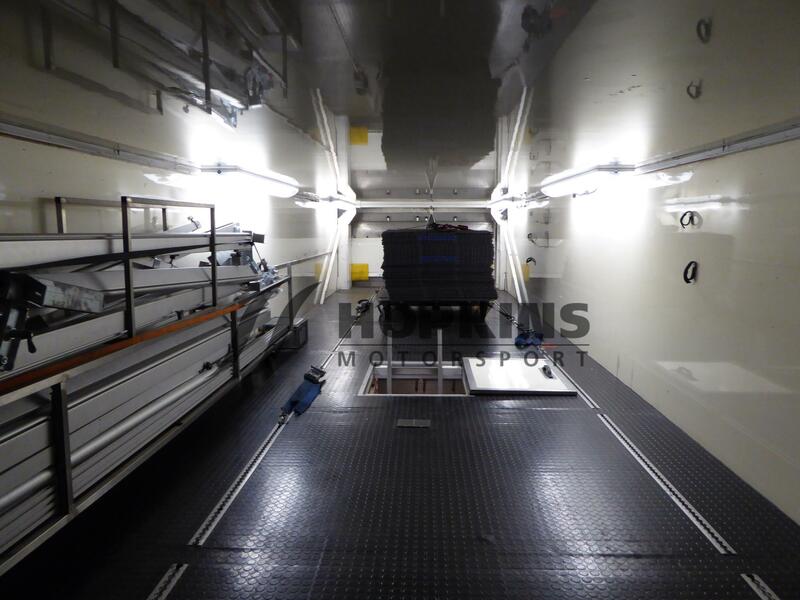 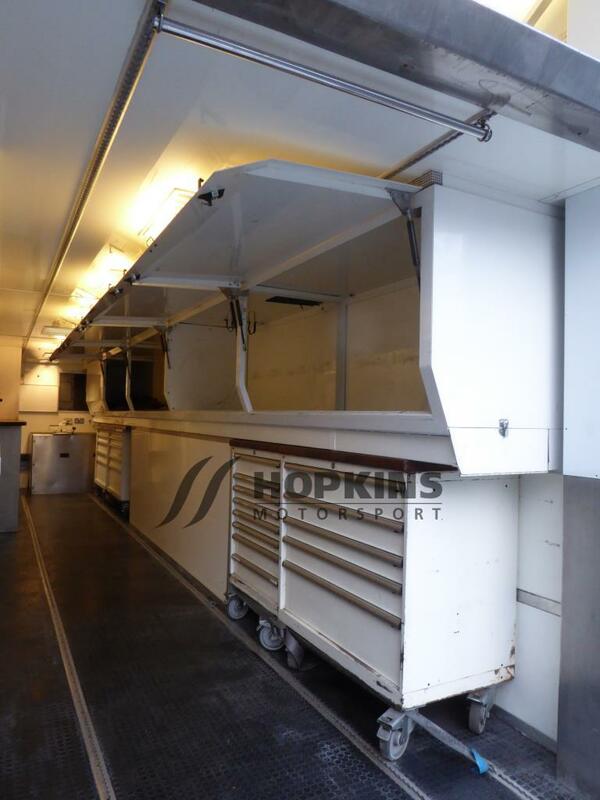 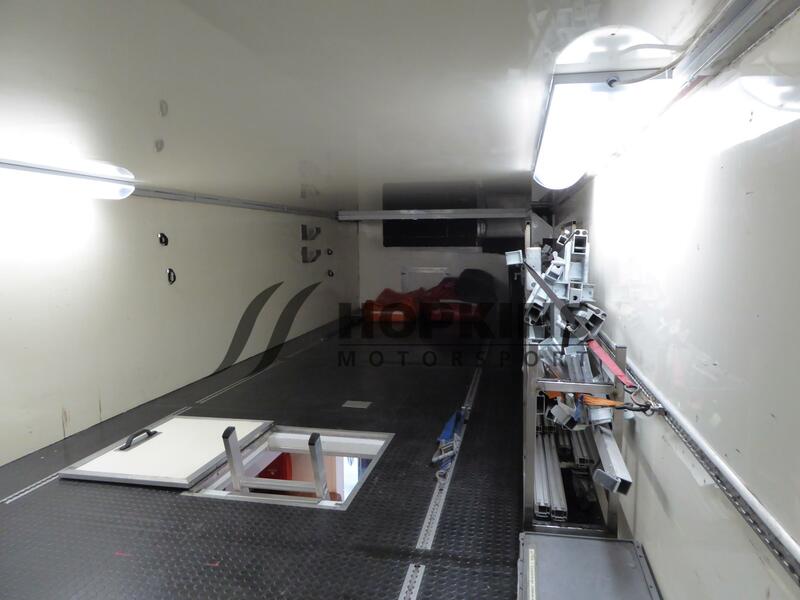 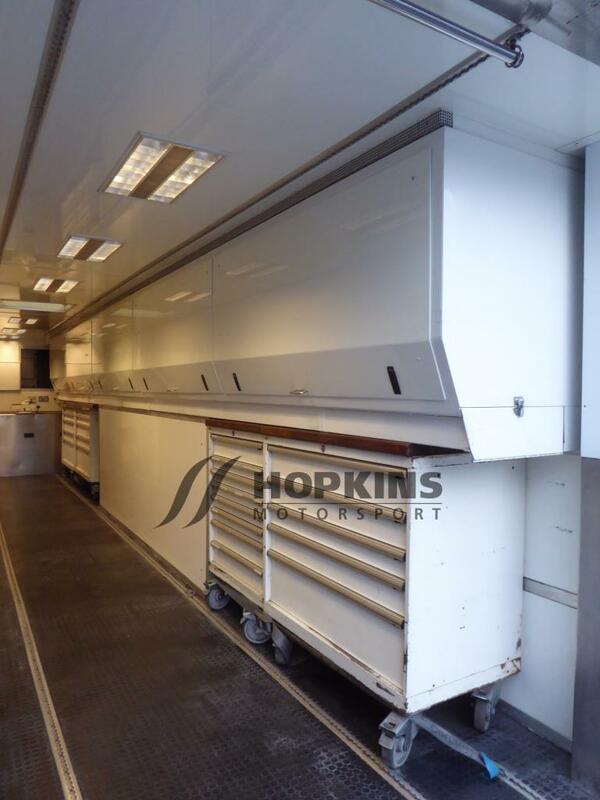 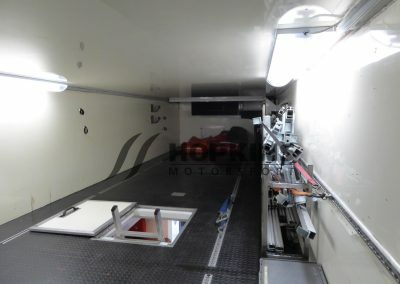 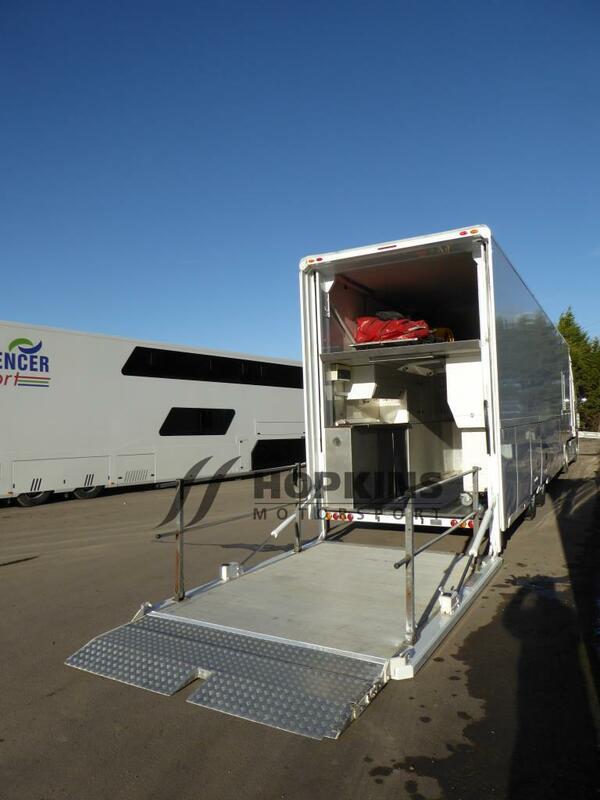 Overhead lockers to store wheels and tyres or spare parts.. 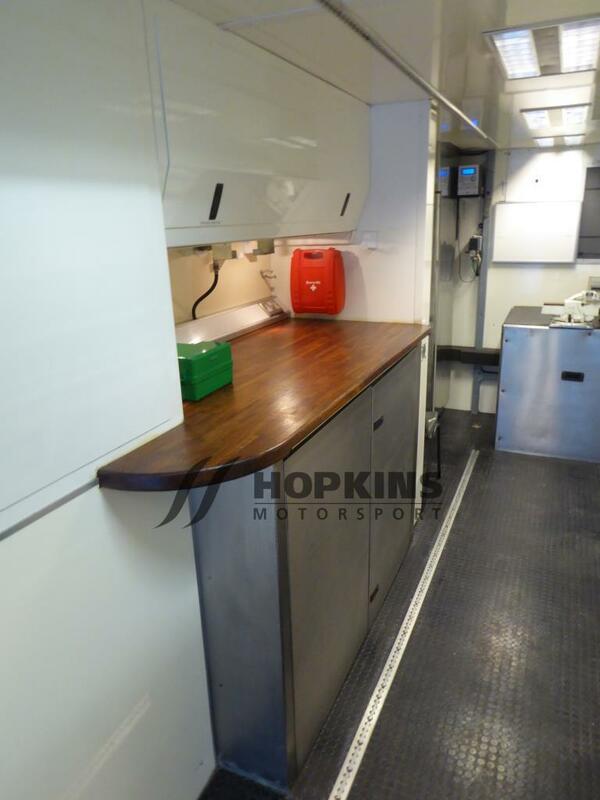 Fixed and portable lista cabinets, additioanal storage and room for a golf caddy. 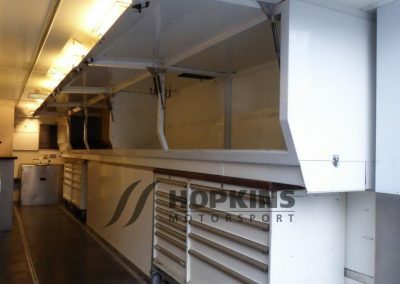 The lower deck will not take a car. 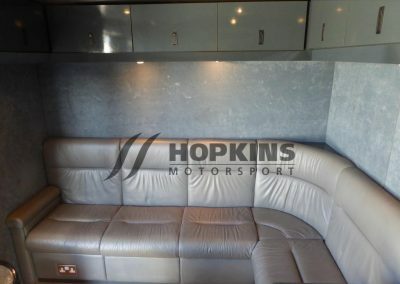 External: Coach style belly lockers that can also be entered from the inside. 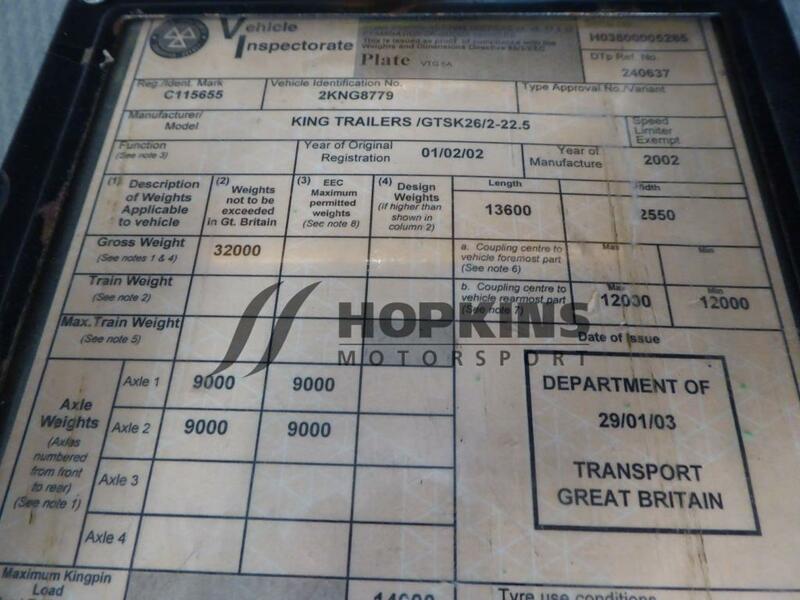 The above is a used vehicle and is sold as seen. 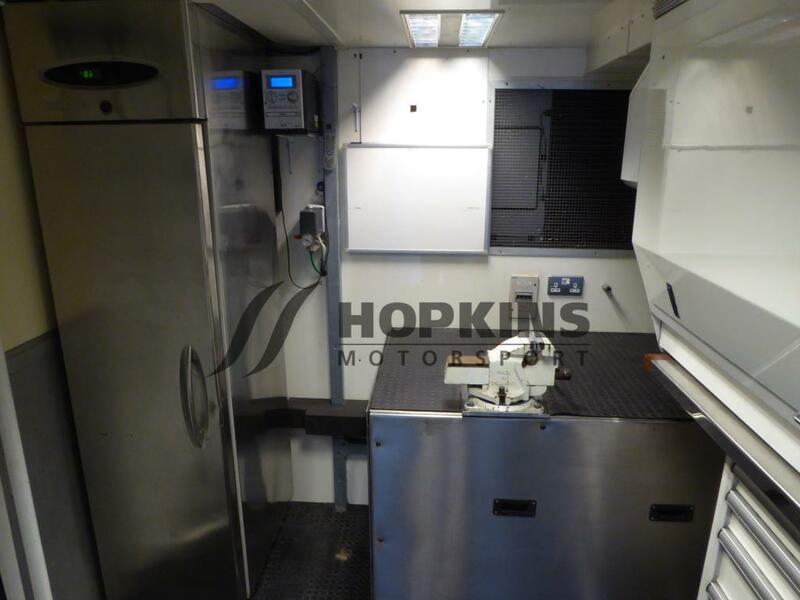 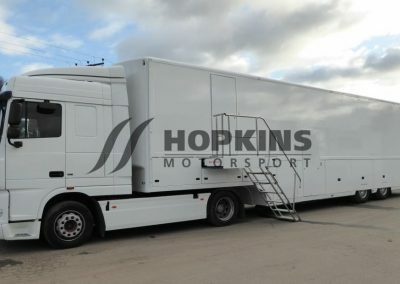 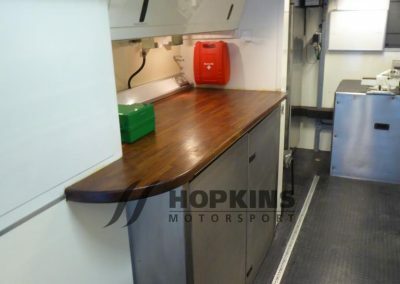 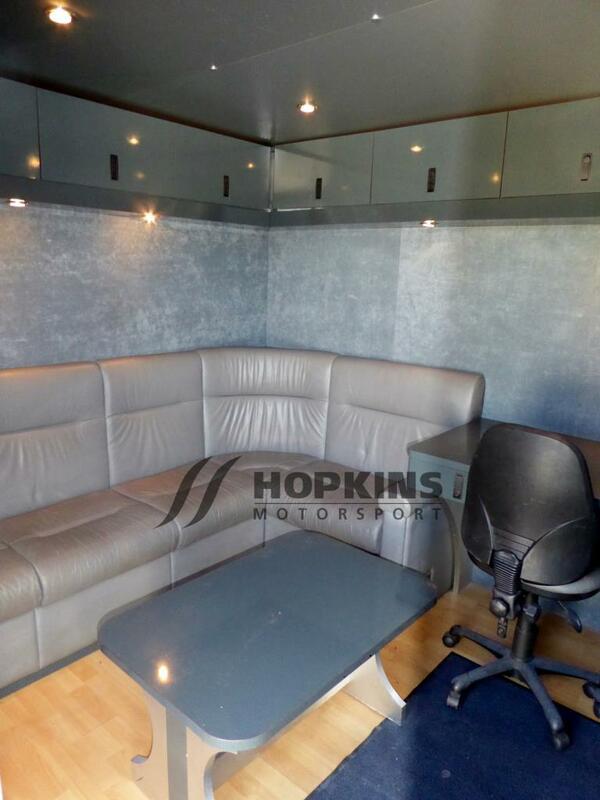 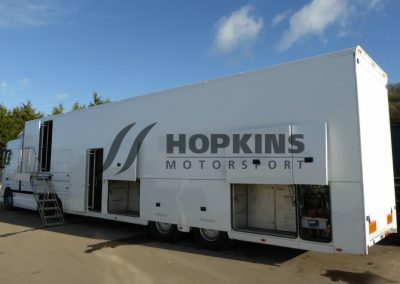 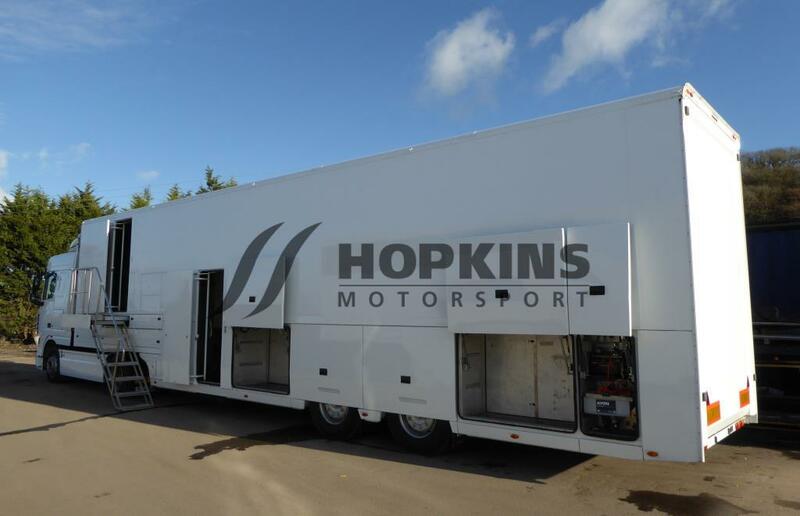 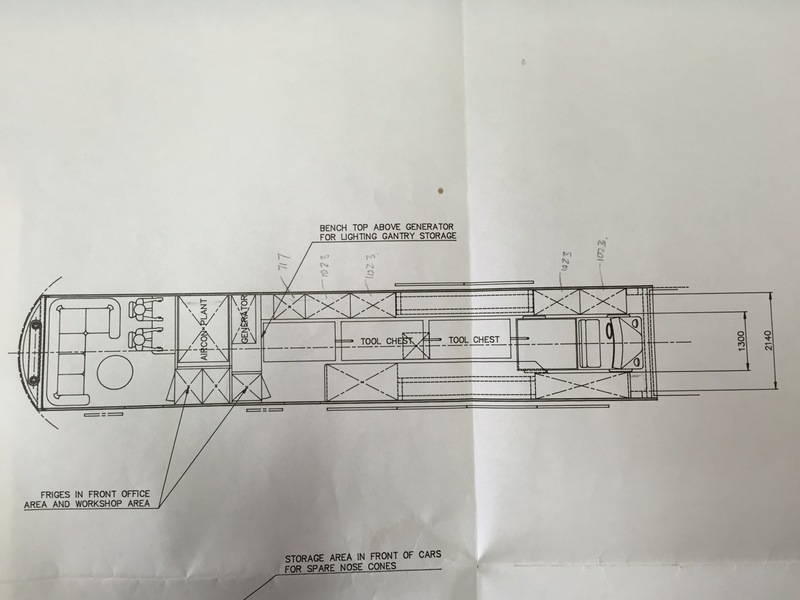 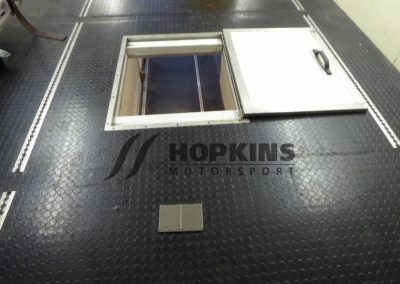 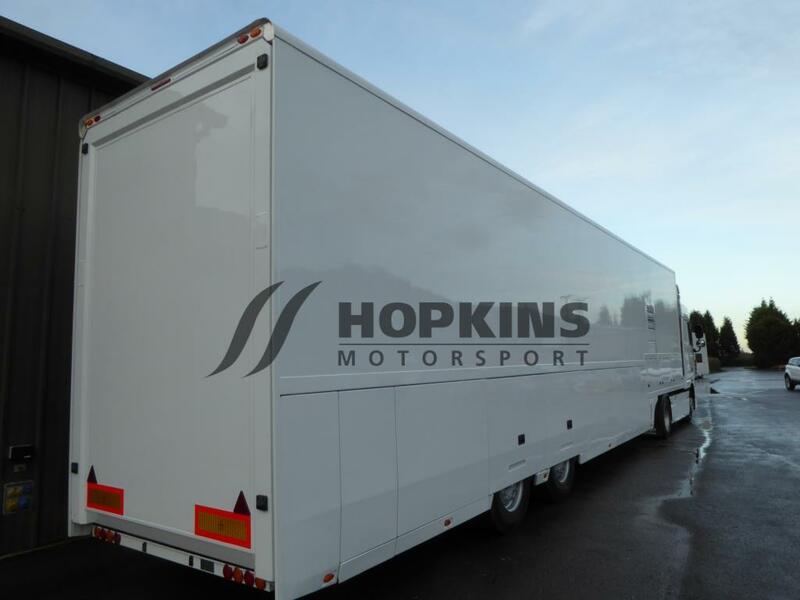 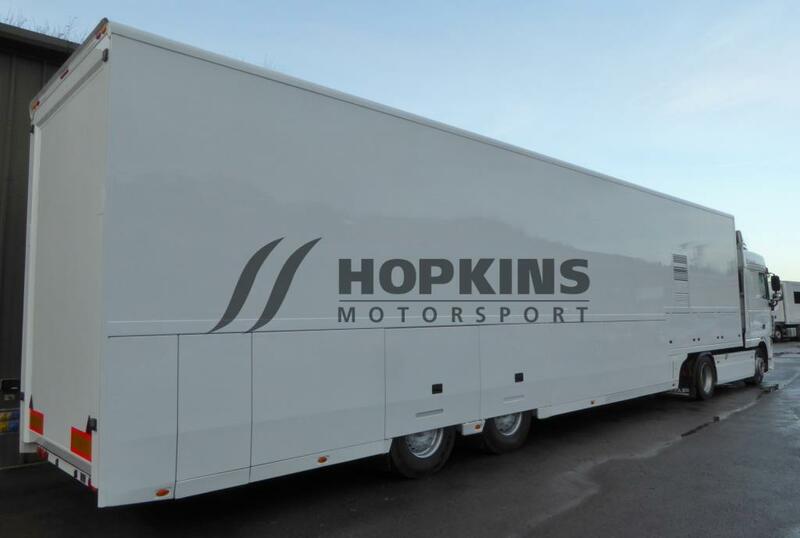 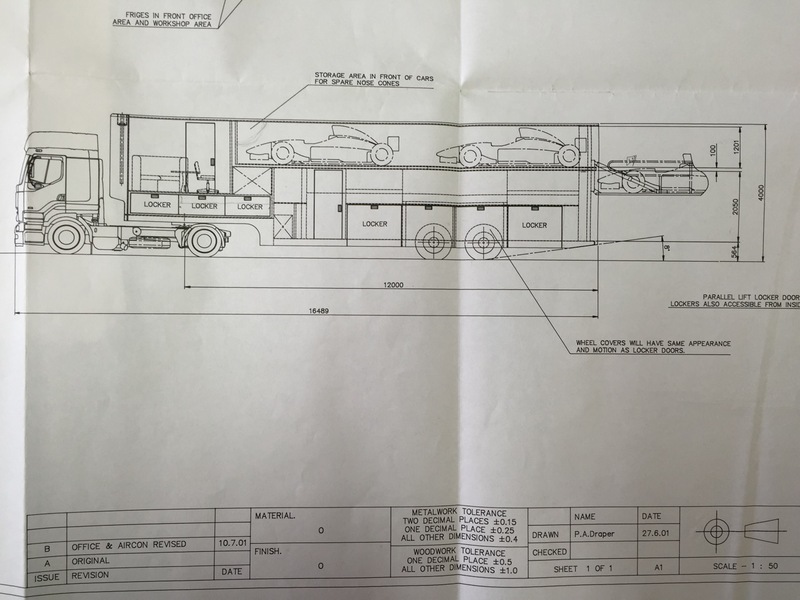 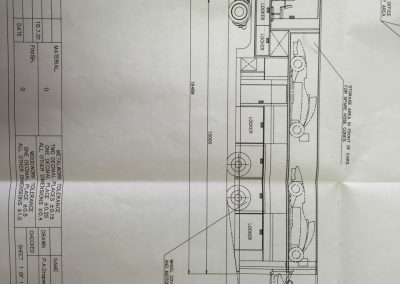 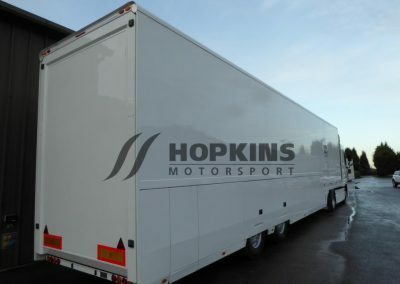 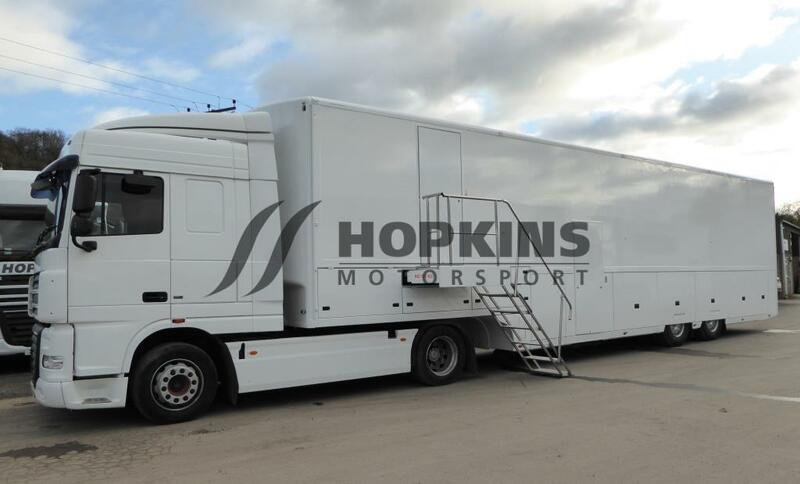 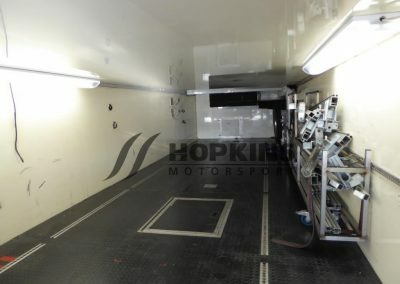 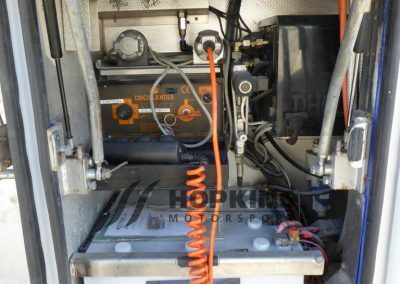 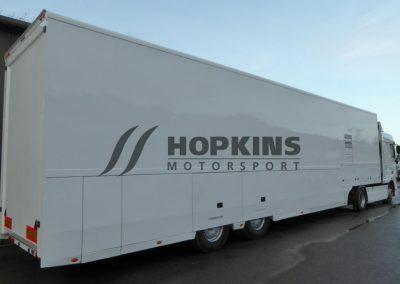 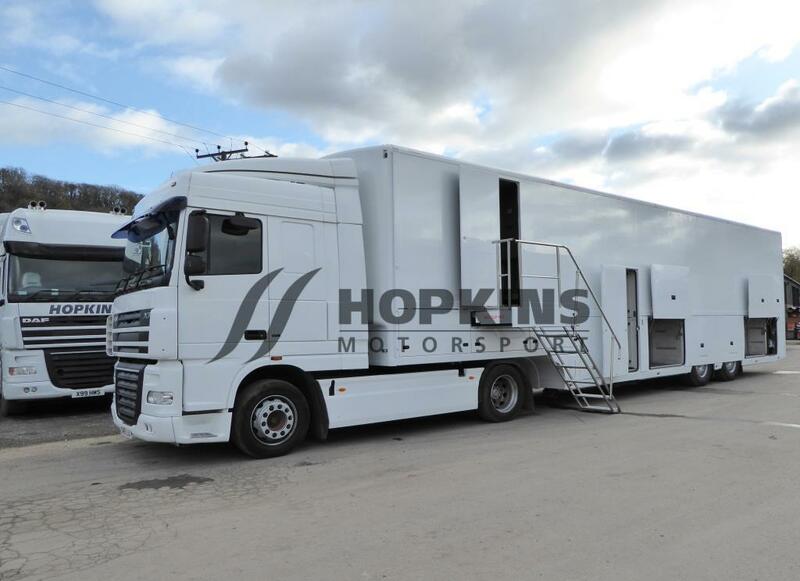 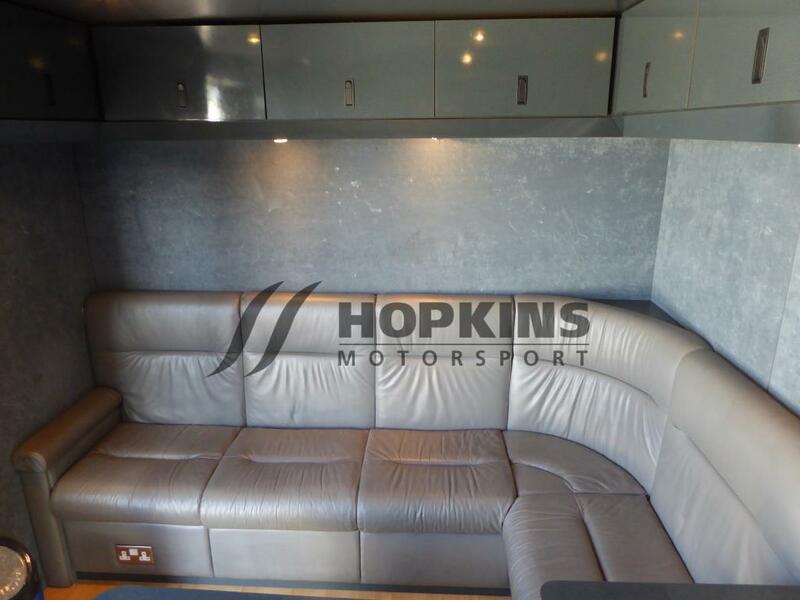 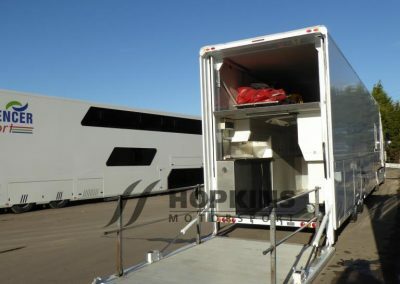 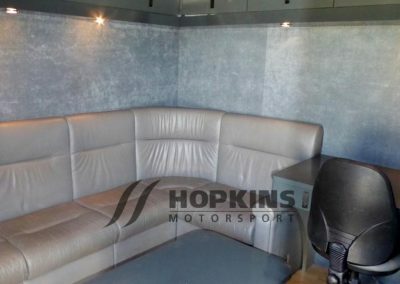 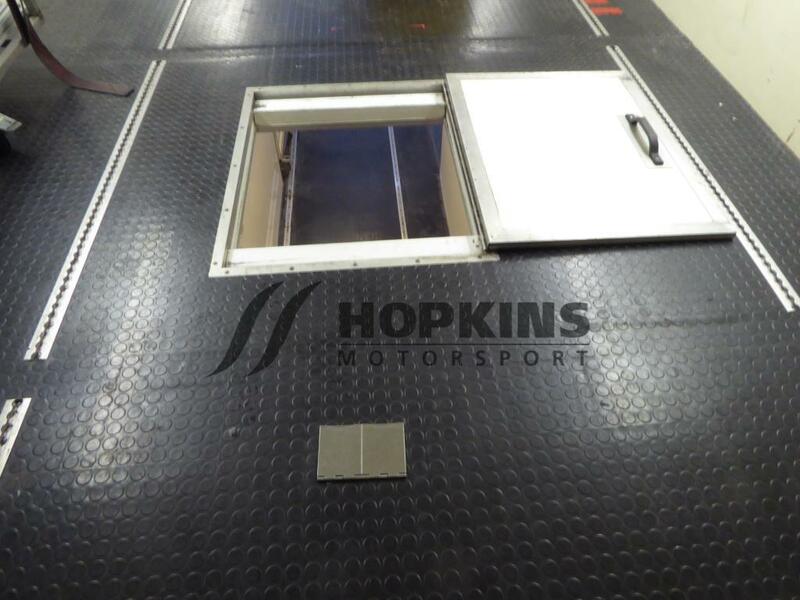 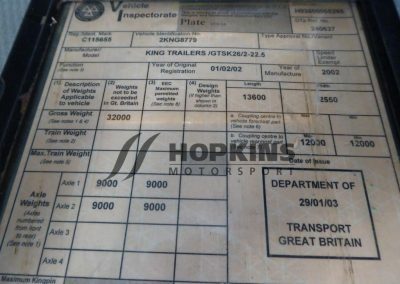 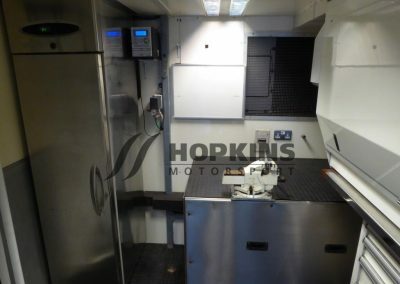 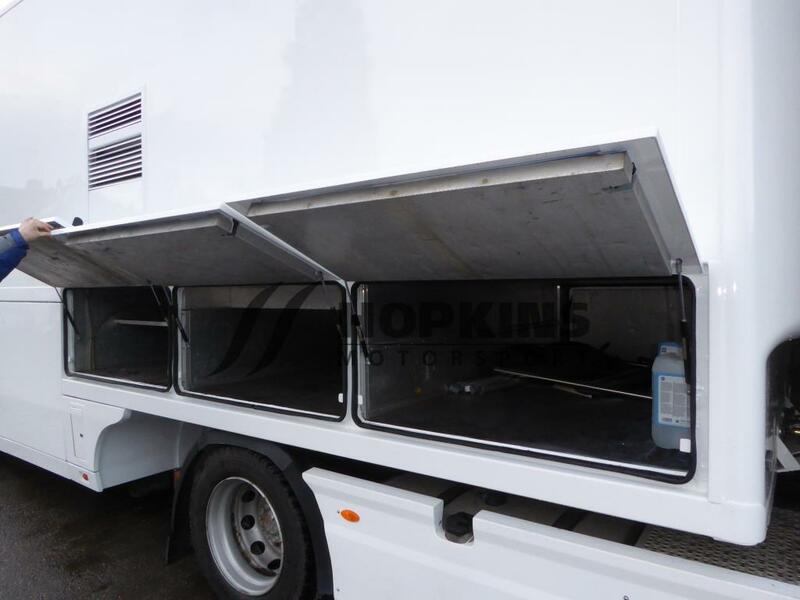 The above vehicle has not been manufactured by Hopkins Motorsport Ltd.